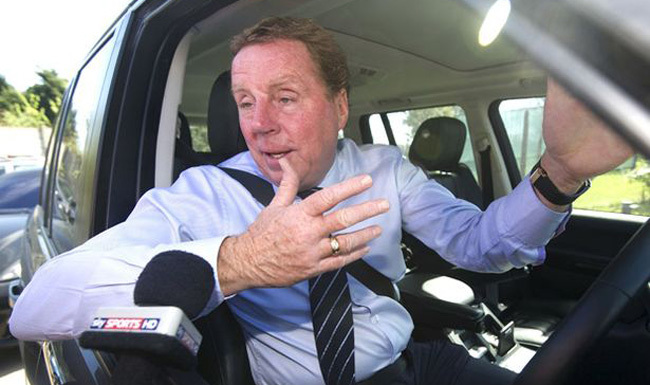 Harry Redknapp In Line For Ukraine Job, But Can He Commute From Sandbanks To Kiev? In new that is sure to have pricked up the ears of QPR owner Tony Fernandes, the Ukrainian FA are apparently targeting ‘Arry Redkapp as the man to replace Oleg Blokhin, who resigned in September. With Mark Hughes’ time in charge at Loftus Road surely coming to an end, former Spurs manager Redknapp has been linked to the west London club. The news that the Ukrainians are sniffing ’round Redknapp may well force Fernandes’ hand as he won’t want to miss out on someone who would surely do a better job than Sparky. National hero Andrei Shevchenko has already turned down the Ukraine job so with the country’s FA keen to see their WC Qualifying campaign kickstarted (just two points from three games so far) ASAP, Redknapp is now in the frame for the post. However, if he is interested in taking the post, surely there remains one very big question – can he commute from his plush Solent home in Sandbanks to Kiev? Here’s the route Google Maps suggests, by the way – it’s 1,684 miles and will take 30 hours apparently.